At his exhibition in Manhattan, which opened on the 8th, photographer David Alan Harvey described Jeju Haenyeo as above. 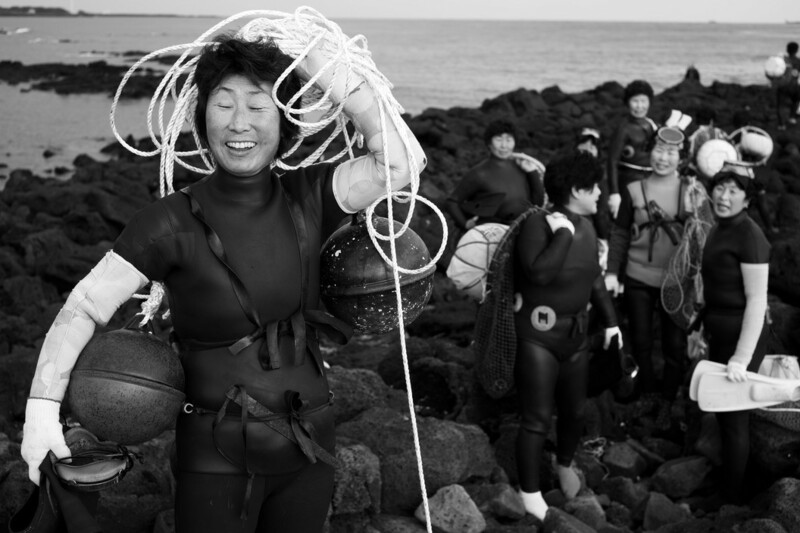 Back in 2014, Harvey stayed in South Korea’s Jeju Island for a month to document the lives of Haenyeo (female divers). Harvey is a legendary visual storyteller, who has photographed for more than 40 National Geographic magazine’s articles. His new photo exhibition that shows daily lives of Jeju Haenyeo will be open at The Korea Society Gallery until the 22nd. The gallery is located on Madison Avenue. “This one Haenyeo, who was 86 years old didn’t mind diving in the cold ocean. 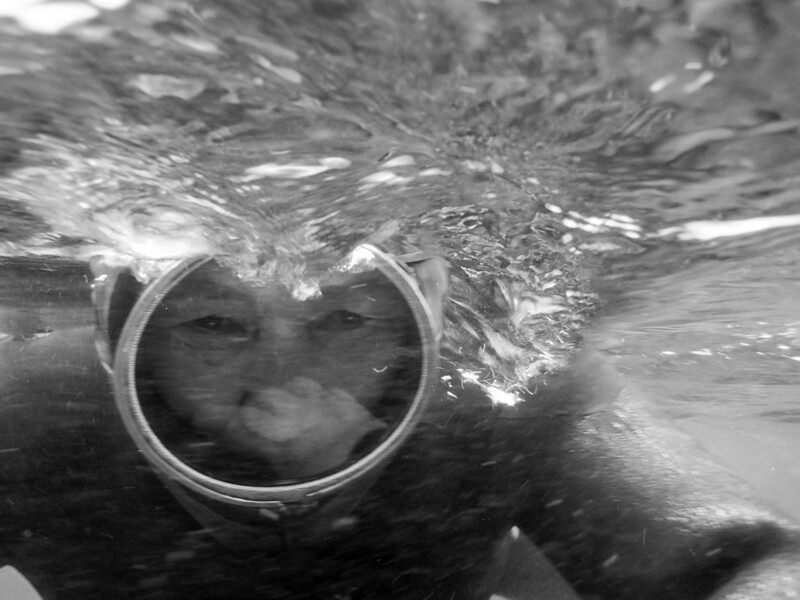 She told me it was possible because she had been diving since she was a teenager. I actually dived with the women with my diving license that I got 25 years ago. That’s when I finally felt a strong bond with them”, Harvey said. Ever since he dived with the Haenyeo together, the women would invite him to their houses for dinner and take pictures together. Therefore, he was able to capture their real daily lives. Harvey actually met the Haenyeo for the first time in 2013 when he was photographing for Arirang TV in Namhae. He was impressed by the fact that they dived 20~30 meters under the sea without an oxygen mask and caught a variety of fresh seafood. The reason why the exhibition is so touching is probably because of its clear and cohesive narrative. Harvey said there is also hierarchy in the Haenyeo community. The Haenyeo’s classes are divided into low, middle, high, and top classes, which are decided based upon your age and level of skills. Young low-class Haenyeo take shallow seas, which are easy to dive into. Haenyeo who are higher classes choose deeper seas. Meanwhile, Harvey’s photography skill was first recognized back in 1966. At the age of 20, he took photos of a black family in Norfolk, Virginia and then published a photo book called Tell It Like It Is. Furthermore, Harvey has written more than 40 photo essays for National Geographic on various topics including the Berlin Wall, the Maya culture, Native Americans, and Hip Hop culture.